Set in a fictional future where a terrible 20-year drought has crippled the city’s water supplies, the citizens must now use the public pay-per-use amenities owned and operated by Urine Good Company. Citizens who try to circumvent the peeing-fee by relieving themselves in the bushes risk being taken away to “Urinetown,” a mysterious place where many have been sent but no one ever returns. With fee increases in the pipeline, the poor rise up to fight the tyrannical to make the public amenities free for all to use. 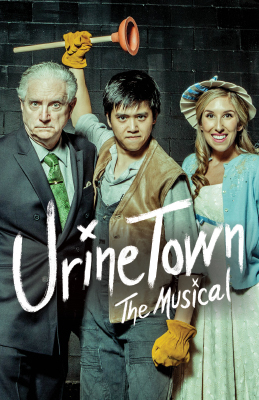 Urinetown is a hilarious tale of greed, corruption, love and revolution. Conversations with cast members following the performance.